Periscope is a twitter special mobile live streaming platform that assists gamers to update their impressive game tricks on channels with ease. This application works well on iOS and Android platform and offers best features for easy content sharing. 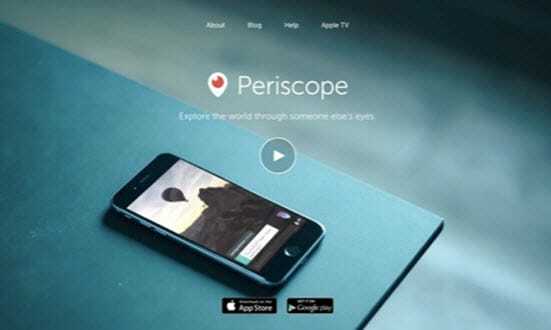 It is possible to grow size of audience on Periscope with ease using few expert tips. It is designed with an extremely simple streaming tool. Simple setup with easy broadcast settings. Stay connected with viewers via live chats during broadcasting. 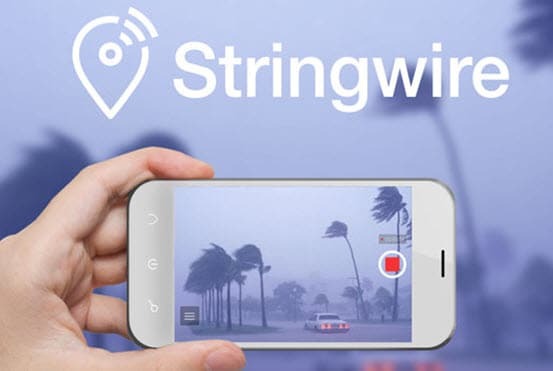 Stringwire allows users to report, share and witness their videos on real time basis. It offers intuitive controls with fast share capabilities and users are also able to save the rich content containing copy of all shared broadcasts for future needs. It assists broadcasters to stay connected with their followers and all information is reported via active notifications. It works on Android platform. Broadcasters can invite other profiles to watch the updated content on real time basis. The streamed videos are always stored online so that broadcasters can access them in future. Facebook live is an addition to the most popular social media Facebook platform where people can enjoy live streaming of videos from any location of world. Users simply need to tap on the live stream icon available online, add little description about event and soon your content will become online. 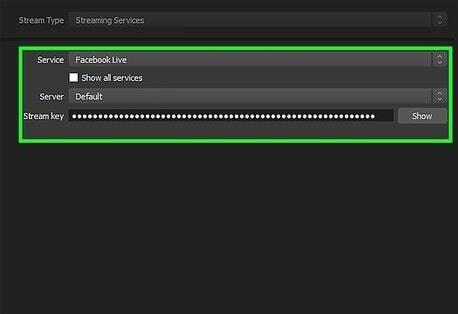 Followers will have option to stay tuned to your broadcasts hence it is much easier to grow your live stream community on Facebook live. Maximum time limited allowed for broadcasts is 30 minutes. Uploaded content will be permanently available on your timeline. YouNow is a recently launched live streaming platform along with active chat support. Note that it can be used by person how is at least 13 years old. You can register to YouNow via other social media accounts like Google+, Twitter and Facebook etc. Broadcasters can use hashtags to attract more number of viewers and users are able to add broadcasters into their favourites list. It works on android, iPhone Touch and iPhone. Teens can use this app to show their creativity, musical talent and to add responses to comments. This app follows quality safety protocols. Millions of users are currently connected to HangW due to its interactive user interface and lots of features. It can be used to go live, create new friend circles online, and discover various cool things around and to add chats etc. HangW also allows private chats as well as private broadcasts with highly customized settings. Users can easily explore various channels over this platform like hip-hop and live chefs etc. Broadcasts can be directly shared on popular social media platforms like Twitter, Facebook and YouTube etc. It is possible to generate revenues via ads and digital tickets. 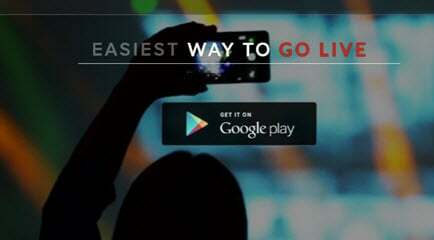 It allows users to watch or broadcast live stream events from any corner of world using phone. Users can easily find their favourite broadcasters here and follow their events with live notifications. The best part is that it allows HD content transfers. It works on android as well as iOS platform. Allows direct broadcasting over various social media platforms like Facebook, Twitter etc. Yhe built in chat feature can be accessed to interact with viewers and followers. This application helps users to broadcast high quality multimedia streams from iPod Touch, iPad and iPhone etc. One can start streaming directly on YouTube, facebook many other popular broadcasting networks. This app is compatible with iOS and Android platforms. 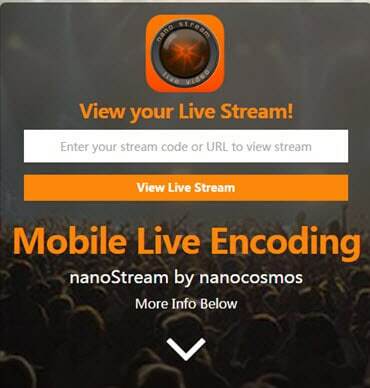 It is a live video encoder app that works on Android and iOS platforms with H.264/AAC encoder. It offers highly interactive user interface with easy broadcasting arrangements using DaCast channels. Support iOS and Android platform with all rich features. This tool works with almost all popular online servers like Wowza Media Server, YouTube Live and Adobe Flash Media Server etc. The good thing to know about this platform is that it offers audio streaming via microphones to any suitable Icecast server. It is much easier to mix audio and video content. It supports almost all popular file formats like MP3, MP2, AAC, Theora and VP8 etc. Big Encoder can be used to develop ringtones. Highly optimized network with all latest tools so that videos with rich content can be streamed on real time basis. It can also be used to stream videos on other services like qik.com, justin.tv, ustream.tv etc. There are unlimited features to access inside Wirecast Go platform, it makes processing much easier and users are allowed to broadcast in landscape as well as portrait modes depending upon their content. 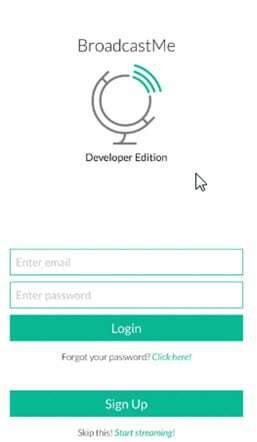 The free version of app provides access to incredible features and many advanced features can be unlocked with payment of $5.99 only. It can stream high quality content from iPhone. Users can easily switch between different shots. Wirecast Go also provides opportunity for easy branding of streams. One can add overlays, pictures, logos and titles to improve online broadcasting experience. It is much easier to move or resize graphics or images using Wirecast Go interface. Live broadcast highlights can be replayed; this feature is really good for sports lovers. Fast streaming to RTMP and YouTube Live servers. Easy interaction with live viewers and followers. It is much easier to explore lots of live events using Live Stream platform and broadcasters can easily make their content live to targeted audience. 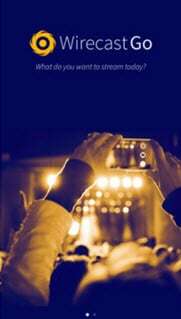 It is possible to hundreds of events from any location of the world and the easy chat options help broadcasters to stay connected with their followers. All followers and friends get notification about your live updates. One can easily broadcast from tablet as well as phone on popular servers like Twitter, Facebook etc. It works on android platform only. This application is gaining huge popularity within last few months due to its impressive features but it lacks somewhere in video quality and uploading speeds. Broadcasters are allowed to replay their videos after uploading them online and the settings can be easily customized. Users can live stream or broadcast their videos easily on Whatsap, facebook, Twitter like platforms via YouTube accounts. One can set eye catching titles for live streams and make settings for SNS. The broadcast status can be changed from public to private as per need. All uploads are saved online so that broadcasters can access them later. What is twitch tv and how to create twitch account?